A limited edition Jura Tastival bottling 2015 is unveiled today, marking the launch of the island’s Tastival 2015 celebrations on 27 & 28 May. The intriguing notes of this expertly crafted single malt - casked in Sparkling Rose Wine barriques, exclusive to Jura – deliver a festival of flavour for whisky lovers. With only 3,970 bottles available, Jura Tastival 2015’s rich and fruity flavour is influenced by its maturation in specially selected sparkling wine barrels from the chalk cellars of the House of Bouvet Ladubay in Saumur, Maine-et-Loire, France. The whisky is non-chill filtered and bottled at cask strength, 52% ABV. 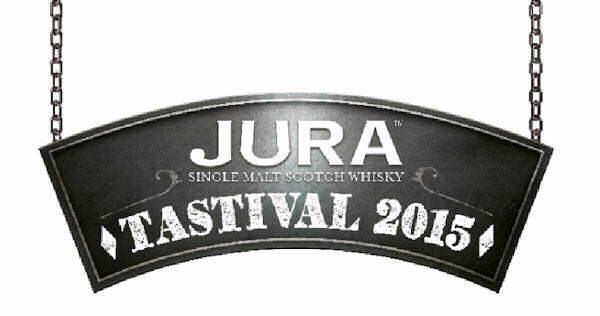 Distilled in 1997 and bottled 18 years later, Jura Tastival 2015, is full of distinctive flavour notes. Fans of the brand may detect raspberries and a hint of spice on the nose, with tangy blackcurrants and ginger spiced pears to taste. A collaboration with Drygate Brewing Co. will also see a limited edition craft beer released to pair with Jura Tastival 2015, inspired by the aromatic single malt. Made in an extremely limited run, this beer will be available to taste at an on island craft beer session held as part of Tastival 2015, or on tap at Drygate during the week of the festival. Willie Cochrane, Jura Distillery Manager: “Our annual Tastival celebrations are much anticipated by Jura fans, so it’s fitting that we release an extraordinary, limited edition single malt each year to mark the occasion.